It stores sugar and releases it as needed. It helps in the formation of elements like clotting factors. It helps get rid of toxins from your body. It helps in the process of metabolism. As one of the primary organs involved in digestion, your liver breaks down the foods you eat into energy your body can use, in addition to ridding the blood of poisons. Diseases of the liver include infections, disorders and conditions that affect the way the liver functions. They impact the structures and tissues of your liver, leading to damage and even stoppage of proper functioning. 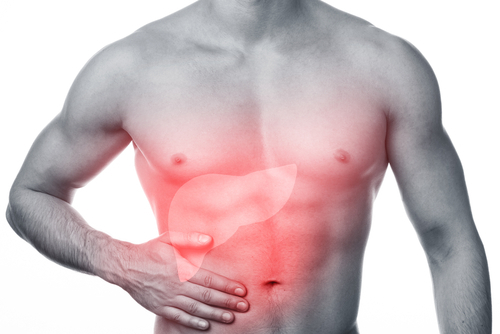 Liver pain can be confused with back pain, kidney pain or abdominal pain, due to its location. 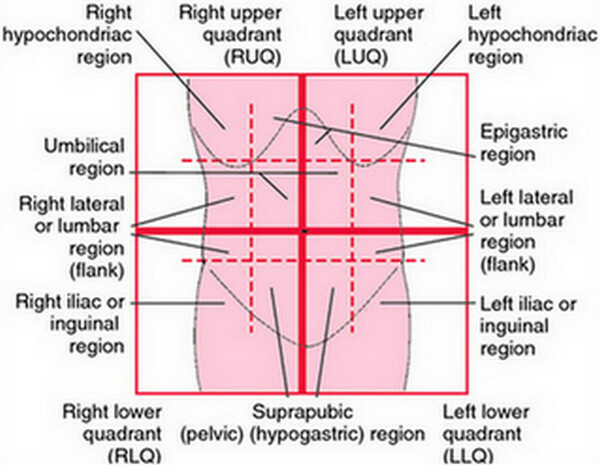 It is generally felt in your upper right abdomen, just below your rib cage. It often presents as a dull ache, but can come in sharp pains, and at times it is accompanied by shoulder or back pain. 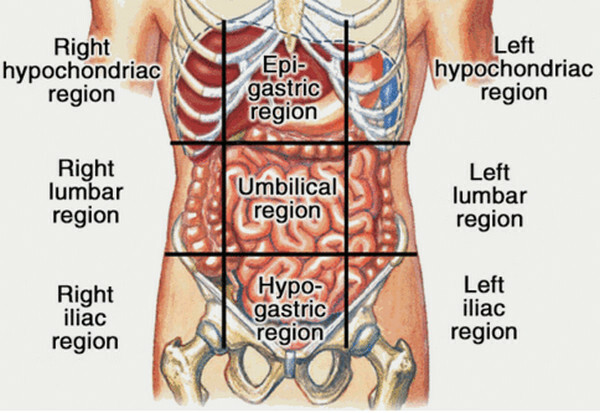 Your liver is found below your diaphragm, in the abdomen’s upper right quadrant. It weighs about three to four pounds and is approximately the size of a regulation football. If problems develop in the liver, the ramifications can affect your whole body. Pain that is caused by the liver doesn’t originate there, since the liver does not have nerve endings. The pain instead radiates to surrounding tissue. It may be felt in the back, like a dull backache. It can feel like the pain caused by diseases in other organs in the abdominal cavity, so you need to consult your physician to determine the true cause. Liver pain causes can be recognized through various symptoms, including shoulder pain, itching, breathing difficulties, fatigue or swollen testes. Some associated symptoms include allergic reactions, muscle pain, depression, headache, irritability and mental confusion. Pain in the liver area may also be brought about by irritable bowel syndrome (IBS), peptic ulcers or gallstones. The leading cause of liver disease is alcoholism. It can lead to infections, trauma, inflammation and cancer. This disorder involves inflammation of the bile ducts, as well as the liver. It can lead to fibrous tissue and scar tissue. It does not have immediate signs – in fact, they can take years to fully show. The symptoms include jaundice, cirrhosis signs, fatigue, intense itching, infection of the bile duct, steatorrhea and malabsorption. Treatment for this disease includes prescribed medications for malnutrition, itching and infections. If the bile ducts are blocked, then bile duct surgery is advised. The only 100% remedy is a liver transplant. This is inflammation in the liver that causes damage to its cells. It may manifest itself as Hep A, B, C, D or E. Hep-B chronic infections increase your chances of liver cancer by 100%. The main symptoms include mild fever, vomiting, malaise, enlarged liver, general achiness, jaundice, diarrhea and dark urine. The treatment for hepatitis depends on what stage it is in. Antivirals and drug therapy may be prescribed. Treatments are effective in 80% or more of hepatitis cases. If your body receives too much acetaminophen, this may damage the liver. Acetaminophen is found in OTC headache, sinus and allergy medications. In addition to liver pain, symptoms include tenderness of the upper right side of the abdomen, flu-like symptoms, yellowing of the skin, whitening of the eyes, itchy skin and dark urine. This is the most dreaded of liver diseases. Symptoms include medication sensitivity, nausea, insulin resistance, type 2 Diabetes, itchy hands and feet, bleeding in the esophagus and intestines, cola-colored urine, gallstones, easy bruising, exhaustion, abdominal pain, liver cancer and liver failure. Treatment for cirrhosis includes managing complications and symptoms. Patients are advised to reduce their drinking and smoking. The only full cure is a liver transplant. This is the final stage of cirrhosis. Fibroids may form, as may fibrous tissues. You may experience scarring of the liver. Blood circulation to the liver is impeded, which leads to progressive liver disease. Symptoms include dark colored urine, foot and leg swelling, jaundice, spider-like blood vessels under your skin, weakness, weight loss, itchy hands and feet, loss of appetite, abdominal pain and exhaustion. 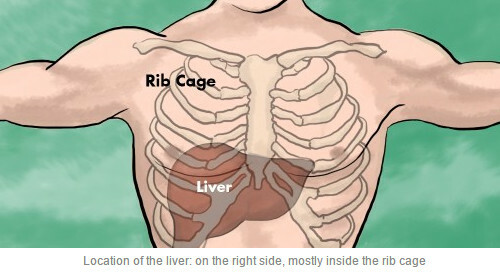 Liver cancer is caused when the cells of the liver grow in an abnormal way. It will not be detectable until it reaches its advanced stage. You can avoid liver cancer by preventing hepatitis and cirrhosis of the liver. Symptoms of liver cancer include pain from the enlarging liver, white eyes, skin discoloration, right upper abdominal pain, nausea & vomiting, fatigue, weakness, weight loss and loss of appetite. Treatments for this serious illness include radiation therapy, cryosurgery, cryotherapy, injecting of tumors, radio-frequency ablation, chemotherapy and liver transplant. Excessive workloads on the capacity of filtration in the spleen, as well as infections, can cause this organ to become larger. This pressures the area around it and may infect the liver as well. Abdominal pain is common with an enlarged spleen. Symptoms include abdominal cavity fluid, dark urine, jaundice, weakness, weight loss, nausea, appetite loss, liver failure and fatigue. The treatment for fatty liver disease includes avoiding unneeded medications, increasing exercise and eating well-balanced meals. These will help to speed your healing process. In more severe instances, a transplant may be required. Cysts are bubbles filled with fluid. They have thin walls. They do not pose a health risk to the patient. However, if they grow without being detected, they may cause pain and discomfort in the upper right abdomen, as well as enlargement of the liver and infection in the bile duct. Treatment for liver cysts involves using nutritional medication to make the cysts smaller. In some cases, the cysts must be removed. This disease results when there is too much copper in the liver. The excess deposits of copper may also lead to hepatitis or cirrhosis. Wilson’s disease is not usually curable and can lead to other complications in the body. Liver pain can be brought on by many conditions. Some are chronic and others are inherited. Regardless of the cause, you need to have a physician properly diagnose and treat your condition, to avoid complications in the future that may be life-threatening. Specific tests are used to determine causes of liver pain. Blood and urine tests are generally the first type conducted. Further tests may be done if you have multiple symptoms. Biopsies, ultrasounds and CT scans can also be helpful in determining the precise causes of liver pain. Ultrasounds and endoscopic scans can be used in the diagnosis of liver scarring and cirrhosis. A liver biopsy is used for diagnosing cirrhosis and some types of chronic hepatitis. These tests are vital in determining the seriousness of the liver damage, since any chronic damage will lead to liver cancer. Blood tests are used to detect alpha fetoprotein and liver enzymes. When their levels are higher than normal in adults who are not pregnant, this indicates the possibility that the patient has liver cancer or another liver disorder. Screening for the abuse of toxic substances is also essential if the liver problems were caused by exposure to drugs or toxins. If hepatitis is suspected, your physician will inquire whether you use IV drugs, or whether you may have consumed polluted water or contaminated food. You’ll also be asked about any recent trips to other countries and your physical contact history. You will need to answer questions about any recent blood transfusions and the use of any medications. For simple liver pain symptoms, you can use anti-inflammatory drugs and hot compresses. Exercising regularly and eating a healthy diet should be a part of your daily routine. You should not engage in addictive habits, since they may prolong liver pain. If you have a viral infection, antiviral drugs will be prescribed. Drinking lots of water and eating healthy foods will help to keep your body properly hydrated and ensure positive electrolyte levels. You should also follow proper sanitary measures and good hygiene practices. If you cannot take food, you may be kept in a hospital to receive saline treatments. In addition to drinking plenty of water, you should eat fresh vegetables and fruits to help with liver pain. Taking vitamins A, K and B1 are helpful, as are herbs and supplements that detoxify your body naturally. If you don’t overindulge in drinking alcohol, this may ease liver pain. Abuse of alcohol often causes serious liver damage. Use drugs only after you have consulted your physician. If you have acute liver disease like cirrhosis, it is harder to cure. Practice preventive measures so that your liver will not malfunction. As long as your liver functions at some level, your chances for survival are better. Acute hepatitis does not have specific treatments, but you can take measures to prevent it. These include vaccinations against hepatitis and using the proper dosage of medication that will keep the disease from becoming worse. You need to contact your physician if you experience persistent pain and associated symptoms like fever, vomiting blood, fainting, memory problems, confusion or hallucinations. See out medical attention if you have pain in your upper right abdomen or shoulder, accompanied by difficulty breathing, pain with coughing, itchy skin, pain when breathing, fatigue or an eating disorder.